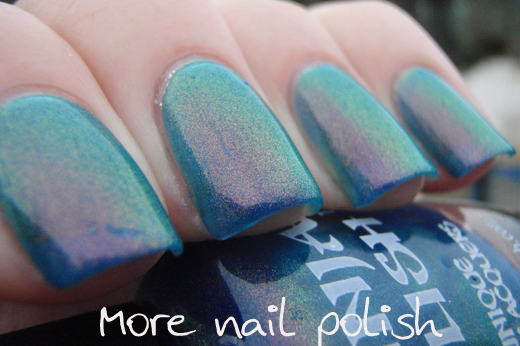 I first saw Ninja Polish Mystic Glacier over at the PolishAholic and I knew that on the next restock I had to grab a bottle. To my amazement, I actually managed to get one. 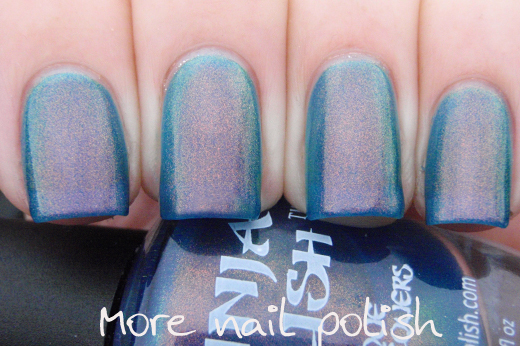 You can then imagine my disappointment when I opened my nail mail from Ninja Polish and saw this. RIP my poor bottle of Mystic Glacier. But never fear, the awesome ladies over at Ninja have great customer service and promptly replied to my message saying they would ship me out a replacement bottle. 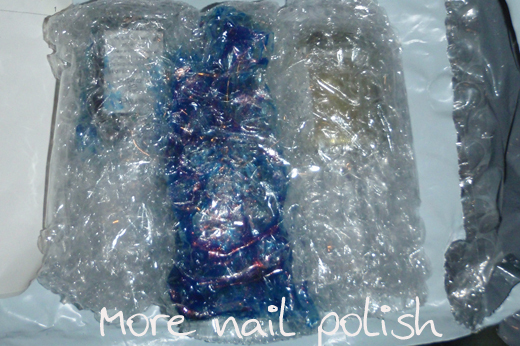 My replacement arrive last week and I quickly slapped that polish on. And it didn't disappoint! I make no apologies for the number of photos of this beauty. 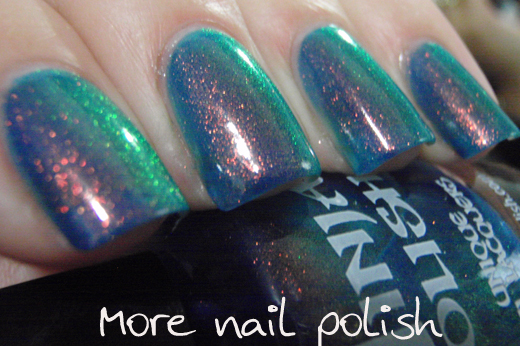 Mystic Glacier has a super strong colour shifting shimmer that shifts from red to green, in a bright blue jelly base. 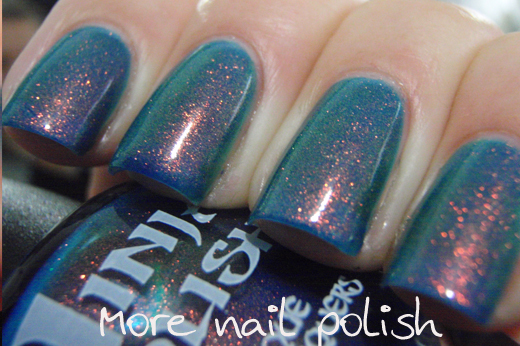 When my first bottle broke, I was so disappointed that I actually tried to franken a dupe. I used some of the red to green colour morphing powder from my personal stash that I still have, and mixed it with suspension base and a few drops of ferric ferrocycanide tinter from Beauty World. My dupe was pretty good, but I did discover that the red to green pigments are a little different and shift colours at different angles, and my dupe was just a tad darker too. But in the end I didn't need my dupe, because I got the real thing as a replacement very soon after. This polish is definitely straight into my top polishes for this year, and potentially bouncing around in my top 20 of all time too. 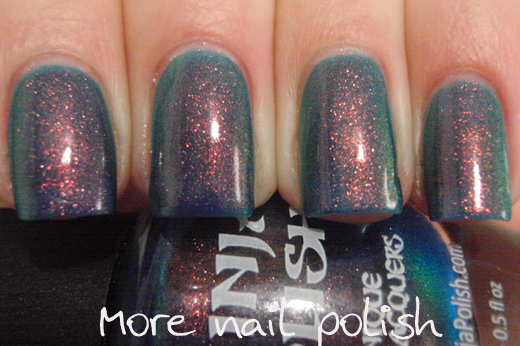 You've got to stalk ninja polish for this one, but it is totally worth it! Could we have a top 20 of all time post? 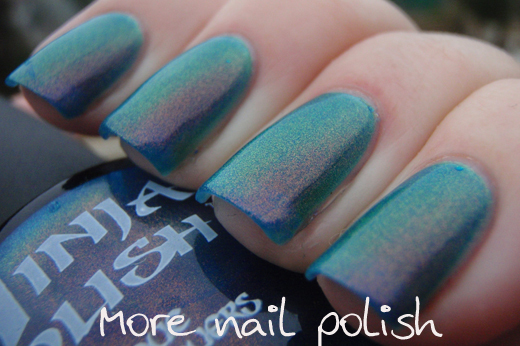 I'd love to see the polishes you love above all others! 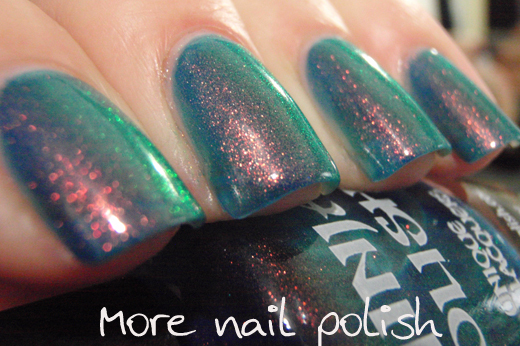 What a totally stunning polish and so well named. I'd love to see a comparison with your dupe even though this is so fantastic. 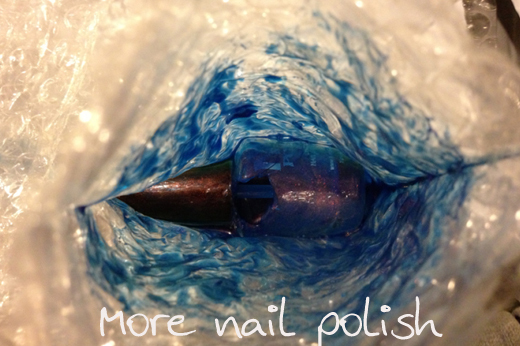 It's just fascinating what people can create with a good eye for color and product knowledge. Oooh, what a beauty indeed! And great customer service :). Fantastic! I have tried to franken my own with no luck. What color changing powder have you used?